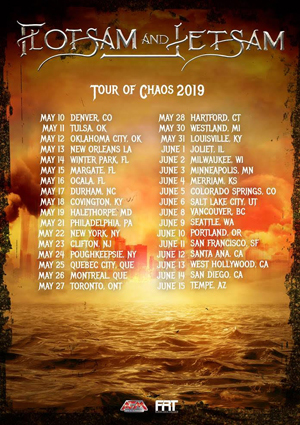 FLOTSAM AND JETSAM Announce New Album, 2019 "Tour Of Chaos"
After a successful N.A. tour earlier this year in support of Sweden’s power metal giants, HAMMERFALL, FLOTSAM AND JETSAM will be returning to the road for a trek across North America continuing their Tour of Chaos 2019! 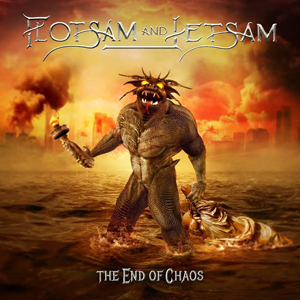 FLOTSAM AND JETSAM’s 13th studio album, The End Of Chaos is scheduled for November 2018 release via AFM Records!